Bane and Killer Frost have captured Catwoman and are using her as bait to lure out Batman on Superman's behalf. It's an obvious trap but it's also an opportunity for The Resistance. 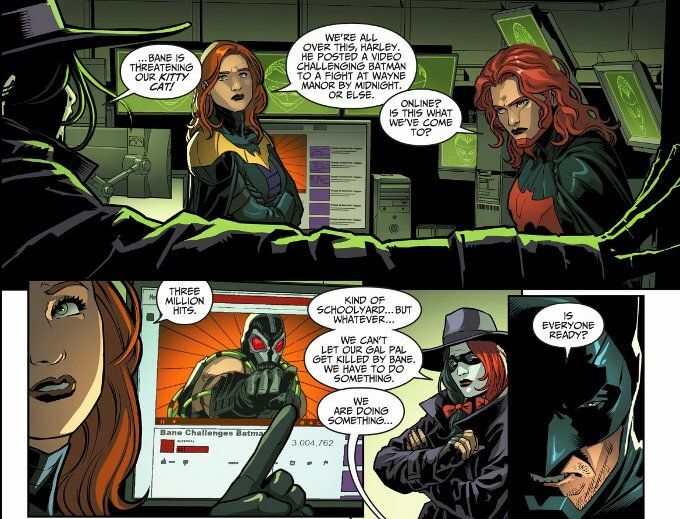 So while Batgirl rescues Selina, the rest of Batman's inner circle move to turn the tables on Bane. This issue is a riveting read, despite being relatively light on humor and action compared to what is typical for this series. That being said, Brian Buccellato's script entertains while setting up bigger battles in the future. Besides, it's hard not to like any comic where Harley Quinn calls Killer Frost "Ugly Elsa". The art team have truly outdone themselves on this issue. Bruno Redondo turns in some truly intricate and amazing backgrounds this time around and Juan Albarran's atmospheric inking enhances everything perfectly. 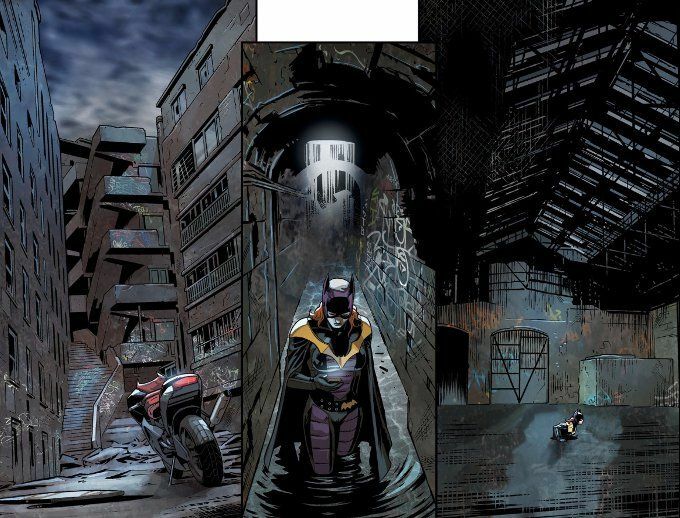 The colors by Rex Lokus are also noteworthy, stark greys and blues being utilized heavily to depict the urban hellscape of Gotham.